Our Goal is to Provide you with The Best Service"
USA Steel & Supplies, LLC; is a complete Metal Service Center. We are your one stop for all your steel needs. We have a full line of carbon steel, aluminum, stainless steel and special alloys. We are pleased to provide our proucts and services to a wide diversity of industries and institutions like the federal, state and local governments throught out the south Florida counties ( Palm Beach, Broward, Miami-Dade, Monroe), as well every small fabricator. 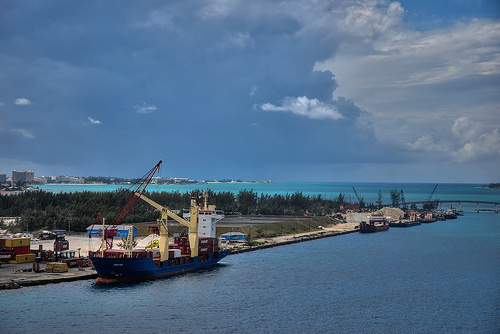 We have a vast experience in exporting to any country The Bahamas, Central and South America. We provide with logistic and support to delivery your goods from our doors to yours. We acknoledge everyone is going thru difficult time and every customer is looking for way of savings in any purchase, we are commited to provide you with the best price and the best customer services.
" Our Goal is to Provide you with the Best Service"
USA Steel & Supplies, LLC. Is a complete metal service center. We are your one stop shop for all your steel needs. We have a full line of: Carbon Steel, Aluminum, Stainless Steel products, as well as special alloys. We are pleased to provide our products and services to a wide diversity of industries and institution like federal, state and local governments throughout the south Florida counties. We provide to the small and big fabrication shops as well the general public. We have a vast experience in the export market specially The Bahamas, Central and South America. We provide all our products with logistics and support to deliver your goods from our doors to yours. So give us a call or email us because we are committed to make your dollars worth. We Export to The Bahamas and other Caribbean countries. We take your shipment to any port in south Florida or any freight forward, our job finish until the goods are in your yard.